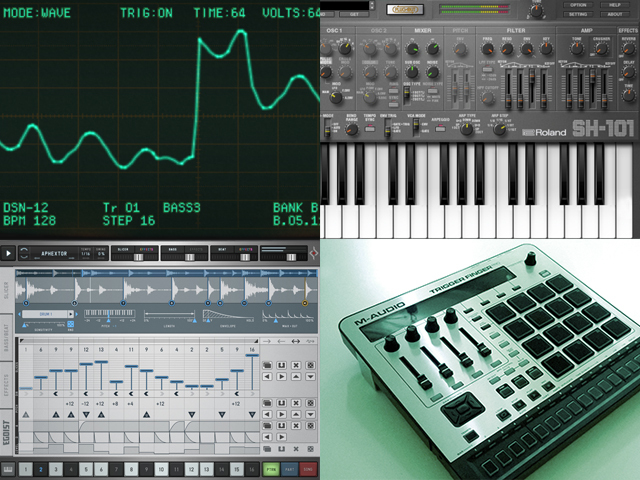 In this music tech news roundup we check out Detune’s new Korg synth for the Nintendo 3DS, a new sample-based groove machine called Egoist from Sugarbytes, a new monosynth from Dave Smith, and the first “plug out” synth for Roland’s Aira System 1 synthesizer. 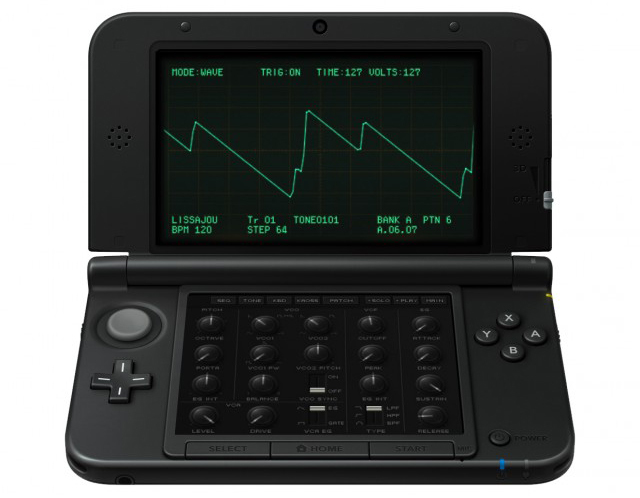 Korg and Detune have brought us another reason to pick up a Nintendo 3ds / 2ds with the DSN-12: twelve analog synths and the world’s first 3D display oscilloscope screen in one compact package on your gaming device. The software provides twelve monophonic synthesizers with three effects each and a sequencer that holds up to 64 patterns. “You have seamless access to all of these synthesizers and their sequences,” explains Korg on their site. “Since you can make your ideas take shape very quickly, you can enjoy constructing songs in real time while performing in a DJ-like manner. You can also use the communication functionality to exchange songs and sounds, encouraging collaboration between users.” The Korg DSN-12 is slated for release in september on the Nintendo eShop. We’re guessing that the price will be about $35 (this was the price of Detune’s Korg M01D outing for the 3DS). The DSI Pro 2 shares the same exceptional ergonomics and playability as its 12-voice sibling, the Prophet 12, but carves out distinctly different sonic territory with an all-new dual analog filter architecture, superwaves, digital bucket-brigade delay, and a 32 step sequencer. The Pro 2 will be available in July of 2014 with a price of $1,999. We’ve been hearing about the Roland Aira System-1 for many months now and it looks like the first reviews of the new hardware / software combination synth are starting to happen. System-1 will feature a “Plug-Out” system of software that allows you to change the synth engine in the hardware with a software update. The first Plug-Out synth will be a digital recreation of Roland’s famous SH-101 analog synthesizer. The System-1 is selling for about $599 and currently available at music instrument retailers. Our go-to for in-depth analysis, Peter Kirn, says,”PLUG-OUT looks really convenient. The name might be a gimmick, and I don’t know that everyone will want to swap models regularly, but the integration features look eminently logical.” Read more at Create Digital Music. We first saw the Trigger Finger Pro at NAMM 2014 and this week M-Audio released a series of videos that tell a bit more about the upcoming MIDI controller. The first big news – it’s also a stand-alone sequencer, as Peter Kirn elaborates on below. The Trigger Finger Pro is currently available for approximately $399 US. “The video you really want to watch is the sequencing video, as it’s the most powerful part of this hardware, and it’s not immediately evident how it works,” explains Create Digital Music’s Peter Kirn. “Also especially significant: while here they’re using M-Audio’s included software, that’s something you could do with Maschine or Push or the like. But those tools aren’t nearly as flexible when it comes to controlling other software. And neither of them works standalone. So take everything you can do here, and assume you might use it to work with other software tools and gear. I’ll be messing around with it with MeeBlip, for sure. And oh, yeah – changing pattern length or step length doesn’t screw up the sync, my major frustration with the cheaper, more compact, but really not-quite-finished Arturia BeatStep.” Read more of this article at Create Digital Music. Sugar Bytes makes some of our favorite plug-ins, so when we heard about Egoist we had to take a peek. This new VST/AU package is something like a REX player combined with Effectrix, a drum machine, and a sequencer that allows lots of randomization. The end result is loads of happy accidents that happen as a result of mangling your samples. Egoist is now available for $99. We’ll be publishing an in-depth look at Egoist in the near future as well. So far, we love it.